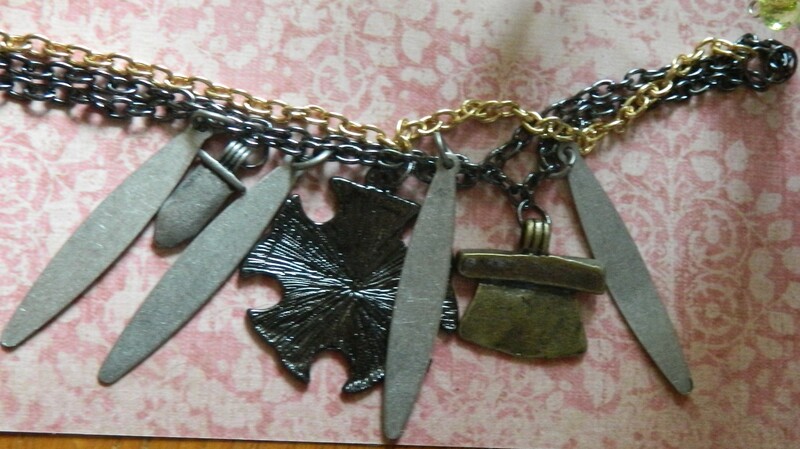 Mixed Media and mixed metals in jewelry design is so popular now and when I saw the new Blue Moon Bead Urban Warrior line of beads and chain I envisioned something fun and edgy. 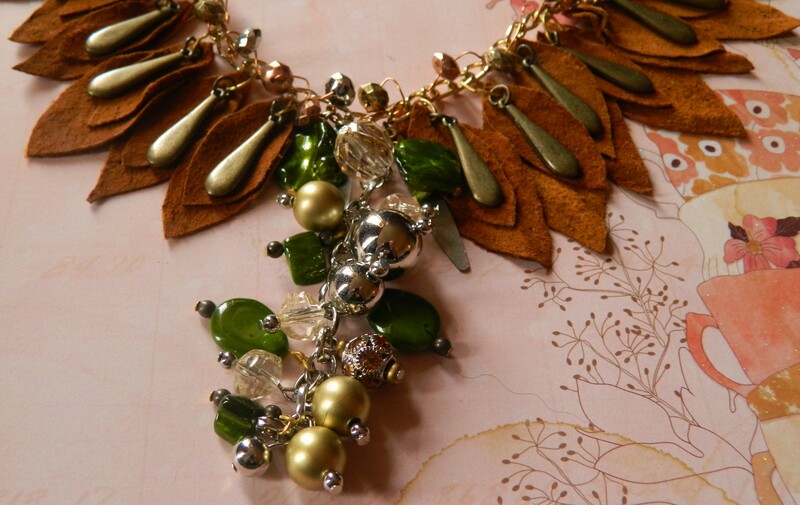 So I went digging in my stash of leather and found the perfect brown suede to add to this necklace. First I gathered my supplies, Blue Moon Beads gold tone curb link chain, Blue Moon Bead gold tone Pendant that has gold tone beads and accent pieces, Green Pearl and accent beads, Urban Warrior Drop Chain and drops and a BMB goldtone toggle clasp, jump rings and head pins. 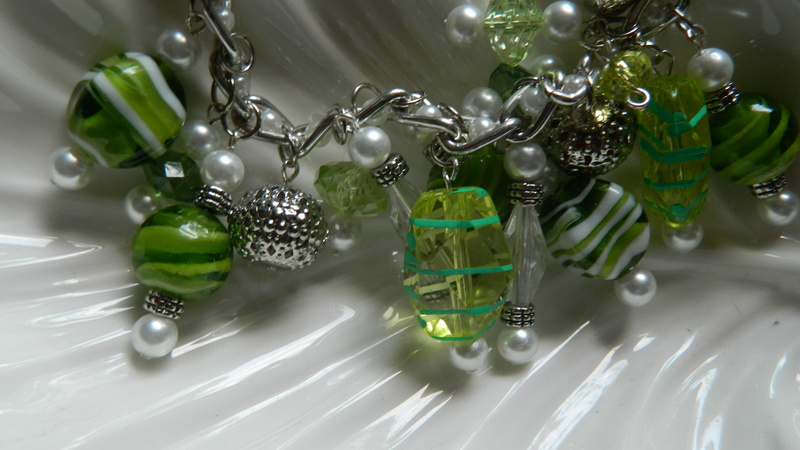 On the pendant I added the green shell beads using head pins to the pendant and attached the center of the chain. For the leather pieces, I drew a simple pattern (2 sizes) on paper, traced it onto the brown suede and cut out the leather pieces, punched a small hole, layered the two suede pieces the Urban Warrior drops and attached to the chain with jump rings evenly spaced (7 on each side) of the pendant. 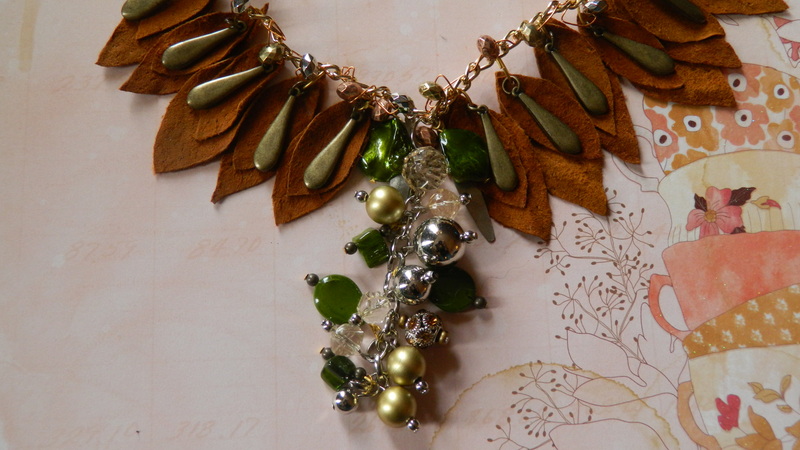 I also added two Green Shell pearl drops with copper rondeles on each side of the pendant for a little more color. Once that was completed I took a piece of 24 gauge copper wire and three colored metal tone rondelles and wove it through the chain, wrapped the ends of the wire into the chain. From here all that was left was to add the BMB gold toggle clasp. Such a simple, fun, edgy design. 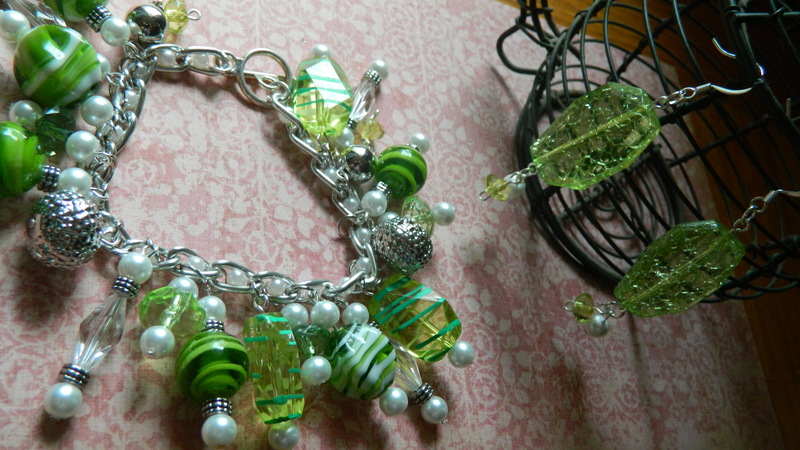 Hope this design inspires you to incorporate different materials in your jewelry pieces.